Intel has had a good ride for 3 or 4 decades, but their best days may be behind them. Paul Otellini must’ve seen this coming, which is why he couldn’t even wait to quit the CEO job any sooner, which surprised everyone. It seems this year we’re starting to see the decline of Intel, that Otellini himself saw coming, and decided to get out while he still looked good. 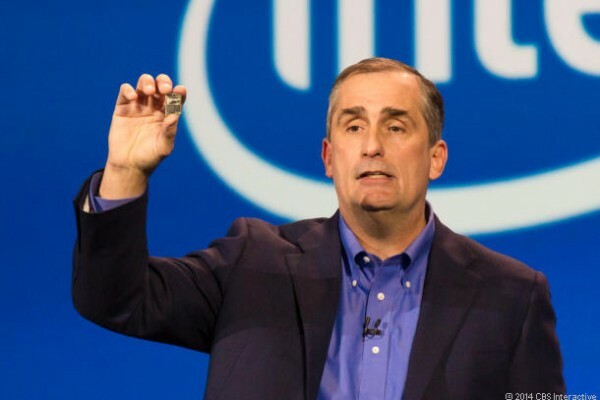 Intel is about to lay off 5,400 employees this year, and the worst part is this is just the beginning of the Intel’s nightmare. The thing about declines, especially when they happen because you get disrupted, is that if you wait until they actually happen to change things and respond to the disruptive competition – it’s already too late. Most CEOs who aren’t visionaries and aren’t able to notice trends before most everyone, and base their decisions on financials and past performance, are not going to see the decline years ahead, even though that’s exactly what’s expected of them. So when they actually see the decline happen in their financial papers, it’s already a few years too late, and even if they decide to change things then, it will be a few more years before the effect is seen, and in those few years the company will continue to decline. That’s how a lot of companies that used to be market leaders become shadows of their former selves (Blackberry, Nokia, etc). Yet, if you try to predict this years before, most people will laugh at you because they see what’s true then, and not what will be true a few years from then, because they don’t notice the underlying trend that’s already in progress. They see a big powerful company, dominating the industry in the present, and they can’t imagine how such a powerful company could ever fall. But this keeps happening over and over, and over again. Intel may still post flat revenues for now, but that’s going to be hit within a year or two, at most. Blackberry was still making record after record in profit every quarter in 2009, even though they weren’t even acknowledging touchscreen smartphones. Why? Because of inertia. There were still countries that couldn’t afford touchscreen smartphones, or where touchscreen smartphones hadn’t yet become popular. So Blackberry kept selling more in those new markets for them, again because of inertia, because they used to have quite strong branding in other countries before. But people who were paying attention knew it was really just a matter of time before they’d be replaced by touchscreen smartphones, even if at the time Blackberries seemed to become more and more popular in those countries. There’s no way out for Intel, either, and it’s not because they can’t compete with ARM chips, even though they barely compete on the CPU side (at least in benchmarks, which might favor them thanks to Turbo-Boost), and are a whole generation behind in GPU performance in mobile, even with a full process node and a half ahead of ARM chips. But leaving that aside, and assuming Intel’s chips are really competitive in mobile, why it ultimately doesn’t matter, and why Intel will start losing money soon, is because they make most of their money with high margin chips like the Core series, or even Celeron and Pentium (that are at least currently based on the same architecture as Core, but with smaller clock speeds and some features disabled). Once ARM chips get dangerously close to the performance of Intel’s Core chips (like I think Nvidia’s Denver/Maxwell combination will, next year), but while costing five times less, then Intel will be in big trouble, because they won’t be able to sell chips that are only slightly more powerful, that cost much more. Their chips will be highly commoditized in order to compete with ARM chips, and that’s when Intel will really start to decline on every level, not just through employee lay-offs, but also revenue and profit drops. If you look at how fast ARM chips have evolved over the past few years in performance, you’ll see they evolve much faster than Intel’s chips, in both CPU (~50% every 12 months) and GPU performance (~100% every 12 months). Intel’s chips are barely increasing in performance from one generation to the next (5-10% for CPU, 20-50% for GPU), because Intel is too focused on lowering power consumption, which leaves the door wide open for ARM chips to catch-up to them in performance. This is not something Intel can stop, because there’s really nothing they can do about it. The time to do something about it was in 2009 or so, when they should’ve licensed the ARM architecture, like Apple did, and start cranking out ARM chips. But even that wouldn’t have been enough. They need a whole company restructuring, to the point where they make high profits even without $200 chips, but more like with $20 chips. Change comes by choice or by force. Whether Intel will choose to restructure itself like that or not, they will be forced to do it anyway, as they stop selling as many $200 chips.